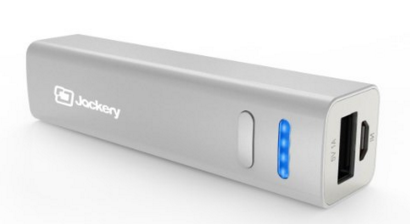 Jackery Mini Portable Charger Just $10.99! Down From $69.99! You are here: Home / Great Deals / Amazon Deals / Jackery Mini Portable Charger Just $10.99! Down From $69.99! Is your phone always dying when there’s no way to charge it? Check out this great deal on Amazon for Jackery Mini Portable Charger for just $10.99 down from $69.99! Get yours now while the price lasts! SMARTPHONES & TABLETS: Portable battery charger can be used as Samsung Galaxy S6 charger, Samsung Galaxy S5 portable charger, iPhone 6s+ portable charger, iPhone 6+ charger, iPhone 6s charger, iPad Pro charger, and much more.